Whole Food. Whole Family. Whole9 Life. We were overjoyed to read this wonderful quote recently on the blog Once A Month Mom. Frankly, as much as we believe in the physical benefits of eating whole, nutritious foods, we’d like to think that the Whole30® is about more than the healthy and tasty things you put into your belly. It is evident from conversations we’ve had, stories we’ve read, and emails we’ve received that the Whole30 program can be a bridge, a catalyst, a conversation starter, a door, or an olive branch when it comes to families. It can help you connect with your loved ones in ways that you never considered. The Whole30 is about Good Food, but it is also about reinventing your family’s health and creating a more wholesome, connected life together. “We now better understand and deal with our child’s sugar-fueled emotional outbursts.” -Sarah W.
“We have decided to take our healthy lifestyle one step further and joined a gym together.” -Beth P.
“I love teaching my children to cook real food.” -Melissa E.
“My mom and I live far away but bond over the phone and email with recipes and health updates.” -Frosty P.
“My son likes to help in the kitchen and thinks it’s really cool to make things from scratch ‘because it’s healthier’.” -Brandi H.
“My wife and I are even better looking now, so we actually STAND closer to one another.” -Roland D.
“It’s fun to be working on our family’s healthy lifestyle together, and hanging out in the kitchen gives us more time with each other.” -Jacque G.
“Our entire family (grandparents, parents and kids) are on board and have become each other’s support system.” -Sara S.
“My husband and I have a new way to connect and new things to try together.” -Tiffany W.
“Our whole family is more harmonious because Mom and Dad are in a better mood.” -Angela A. “I’ve been an inspiration for my Dad to better his own health.” -Hayley B. “Cooking together encourages us to take the time to relax and just enjoy one another.” -Renee M.
“My husband and I are now a team working together to hurdle obstacles and make it to the finish line.” -Beth P.
“The Whole30 has empowered our kids to know that they have control in decision making for their health.” -Janet B. “I’ve discovered how fun it is to hit the farmers market with my husband (and toddler and pup) in tow.” -Tammy J. “My eight-year-old son and I bond over the nerdy science of food fermentation.” -Cori A. “Grocery shopping has become a joy instead of a chore because we’re all on board with the shopping list.” -Karen L.
“We finally have the energy to play with our kids on the weekends and when we get home at night.” -Nick P.
Finally, here are some great reads from families who have been through the Whole30 together and have come out the other side stronger, healthier, happier, and more committed to one another. Whole Family Strong recaps how they worked together to finish their first Whole30. Southern Beth discusses why the Whole30 made her and her husband stronger as a couple. 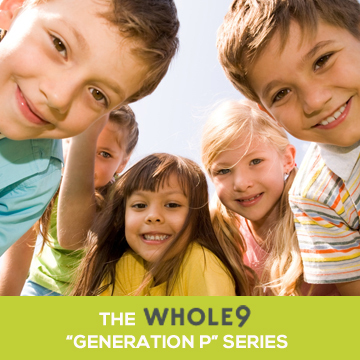 Nicole L. speaks with Whole9 about how the Whole30 helped her family address her son’s PDD. Have you had a similar experience with your family while doing the Whole30? We’d love to hear about it in the comments below! Love this post! So sweet! Will take to heart. I totally agree! It’s about so much more than food.